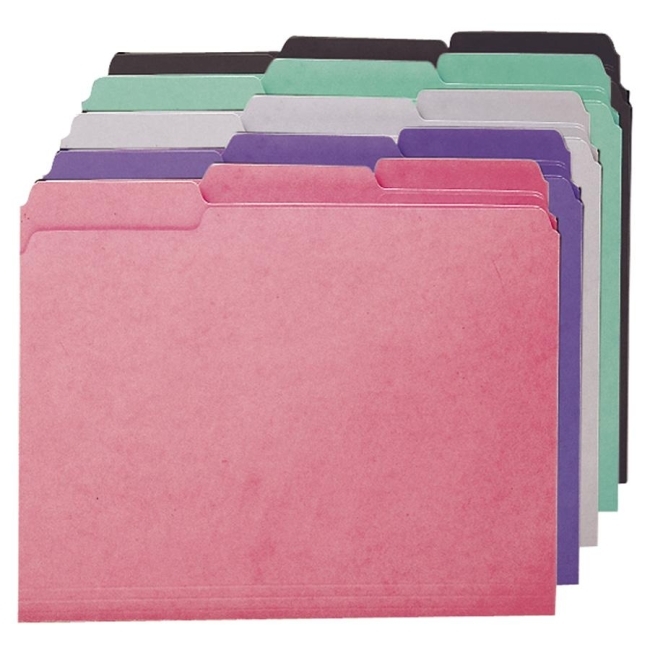 Special-size folders fit neatly inside hanging folders to separate groups of papers and keep documents organized when removed from file drawers. Tabs are low enough not to interfere with vinyl tabs on hanging folders. Assorted 1/3 tab positions allow more than one interior folder to be used within a single hanging folder. Other features include single-ply tab, 11 point stock construction and undercut front panel. Scored for 3/4" expansion. SFI Certified.